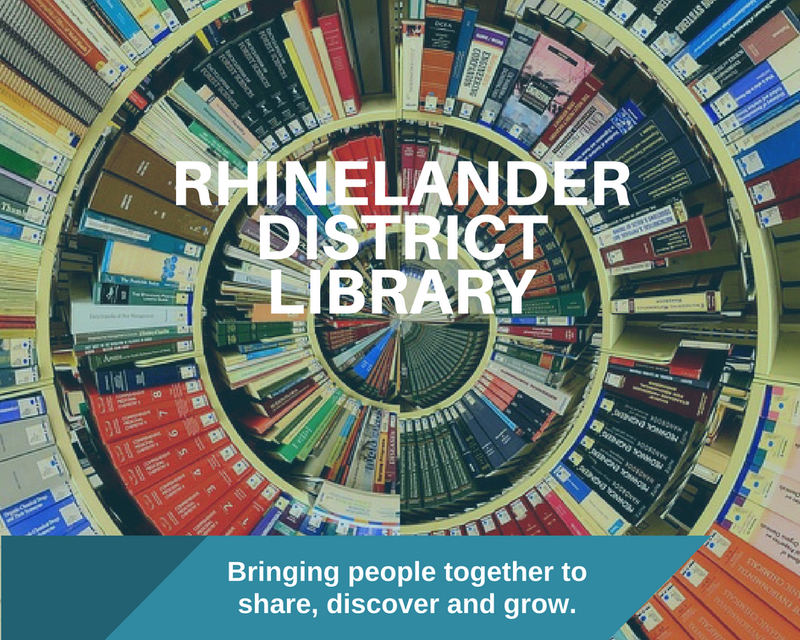 The Rhinelander District Library serves as a hub in the community, attracting new and existing businesses and families, and bringing people together to celebrate, to share, to discover, to learn, to grow and to be entertained. It encourages exploration and literacy for children as well as adults. It strives to provide a warm, inviting, convenient and non-threatening environment for people and ideas to come together. In allocating the use of library space and resources, the Rhinelander District Library Board of Trustees and Library staff does not discriminate on the basis of political or religious beliefs, orientation or on any other Federally or statutorily protected class. Permission to use Library space does not constitute or imply Library support of the aims, policies or activities of any individual, group or organization; nor does such permission constitute or imply endorsement of the views expressed by said individual, group, or organization. What is now the Rhinelander District Library began in 1897 as a subscription library those items and a second private reading room’s holdings formed the nucleus of the first free public library collection. By 1902, library quarters had become too small. Application was made to philanthropist Andrew Carnegie for the money to build a new library. He responded with the promise of $12,500 on condition that the city must appropriate a minimum of 10 percent of this amount for annual support and provide a site. Brown Brothers Lumber donated land, and City Council allocated operating funds. The Rhinelander Women’s Club (RDL’s “founding mothers”) had a long association with the library going back to its second meeting in February 1898, which featured an address on “Public Libraries as Centres of the Public Good.” The Woman’s Club continued its annual support, was a guiding presence during the building projects of 1903 and 1984, and is still considered to be a major library sponsor. The Rhinelander Masonic Lodge laid the cornerstone, making what was then the Rhinelander Public Library a true partnership of philanthropic organization, business, and government in the community, one which continues to this day. From the first, the Rhinelander Public Library sought to serve all ages and segments of the community. Early promotions aimed at attracting “the working man” soon dispelled the notion that its collection was reserved for the cultured elite. Through two world wars and the Great Depression, the library kept pace with the information needs of its citizens. Library service was expanded in 1962 with the advent of Regional Reference Service, and again in 1972 when Oneida County joined the Wisconsin Valley Library Service, a ten county cooperative library system. The Rhinelander Area Joint Library District (known as the Rhinelander District Library or RDL) was formed in 1982 by the City of Rhinelander and Townships of Crescent, Newbold, Pelican and Pine Lake to provide more equitably funded service to the greater Rhinelander Area.